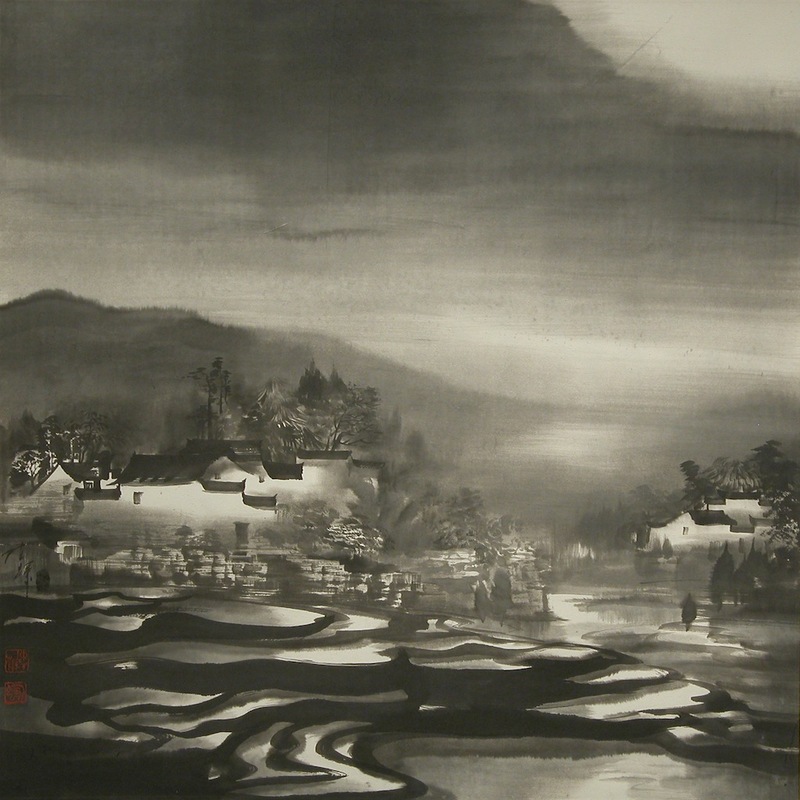 Chen Hui works primarily with Chinese ink on rice paper using a powerful ink wash technique that tells as much with the white space as it does with the layers of black ink. Whether he is painting a sweeping vista or a quiet interior, his paintings create a powerful mood that is at once pensive and serene. 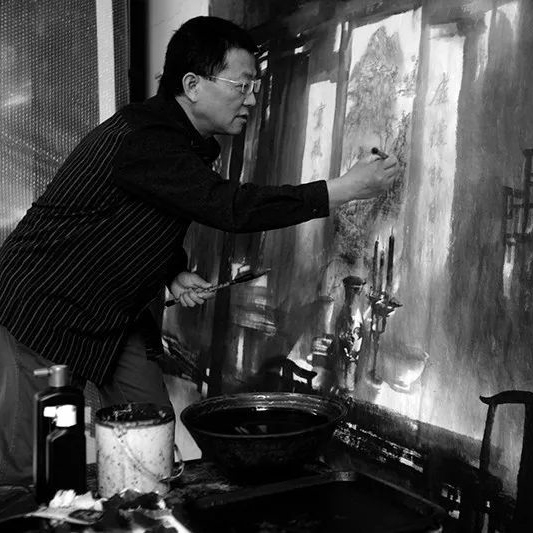 Trained in oil painting as well Chinese ink, Chen Hui is one of the post-revolution generation of Chinese ink painters seeking to find the language between the immediate visual and emotive impact of western oil paintings and the spirituality of Chinese ink. 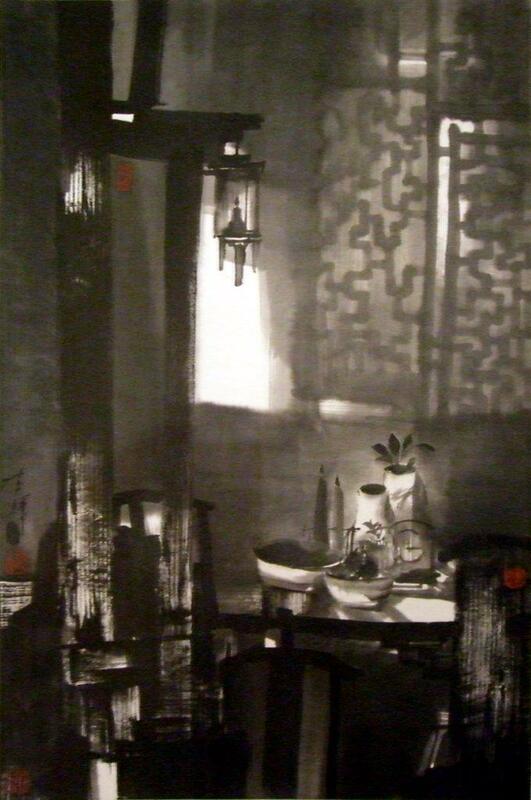 Chen Hui’s works have a characteristic luminosity that he produces with his blending of painted and unpainted space. Reminiscent of the lighting effect of old western masters in oil, the artist captures the white snow reflected off the rooftops of a Chinese courtyard home in Beijing, or moon light refracted by a gentle mist veiling the fields of a village.